Having grown up near the Alberta Rockies they’re always a desired place to visit. There’s just something about the Canadian Rockies in particular; tranquility, serenity, combined with a little awe. 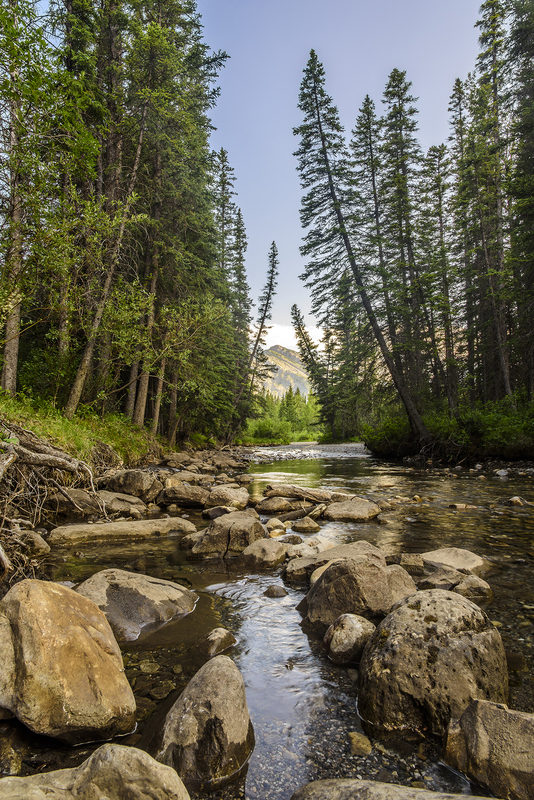 The Kananaskis in particular just abounds with natural beauty. This image was one of the very first I took as we arrived. Having just left the hustle of the city and months of heavy career focus, and its ensuing stresses; we came upon this stream. I was just overwhelmed with a sense of immediate tranquility. I’m sure you can relate. We all feel the stress and pressure of life, yet when met with that moment of inescapable peace that occurs when surrounded by true natural beauty it’s a truly grounding experience. From that moment on; it’s hard for a time not to see beauty everywhere you look.